When one of them receives a mysterious letter, BFFs Val and Kit begin to unravel a mystery that spans a continent and reaches back decades. It also takes them to Palm Desert, California, a paradise of palm trees, mountains, blue skies . . . and now murder. The men in their lives—Val’s favorite detective, Dennis Culotta; her boss, Tom Haskins; and Kit’s husband, Larry—play their (un)usual parts in this adventure that introduces a fresh batch of suspicious characters, including Kit’s New York–attorney sister, Nora, and their mother. Val faces an additional challenge when her daughter, Emily, reveals her own startling news. Val and Kit bring to this story their (a)typical humor, banter, and unorthodox detective skills. 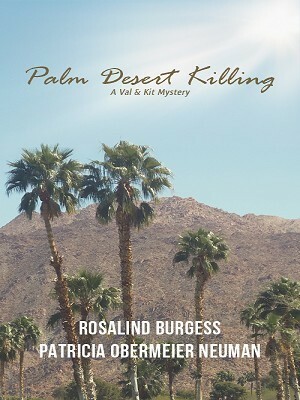 Like all the books in The Val & Kit Mystery Series, this fifth one can be enjoyed as a stand-alone novel.